The heart of the home is the hearth of the home, and when warm weather arrives, it is time to update this focal point in a seasonally appropriate manner. It is a simple procedure that looks charming and impressive at the same time, and costs little or nothing. 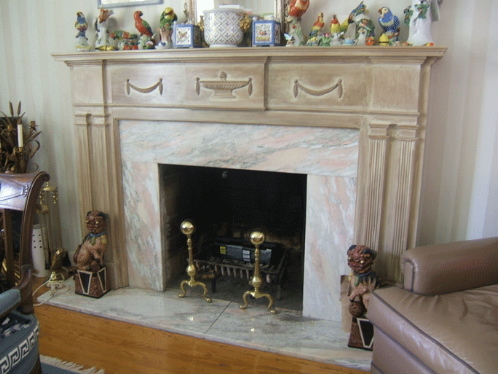 After carefully cleaning the fireplace of ashes and burnt debris, the andirons should be impeccably polished. 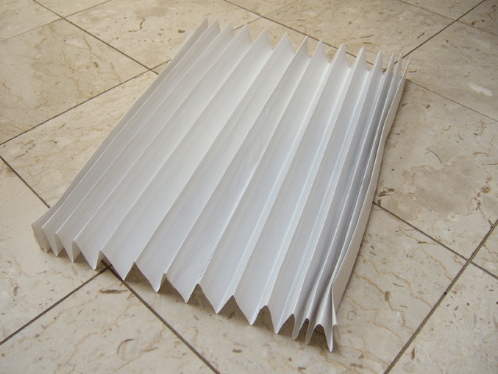 Then place a large, plain white or ivory paper fan the cleaned grate. The crisp, clean whiteness adds light and freshness for the warm days, and signals that cold days are over. It is easy to make. 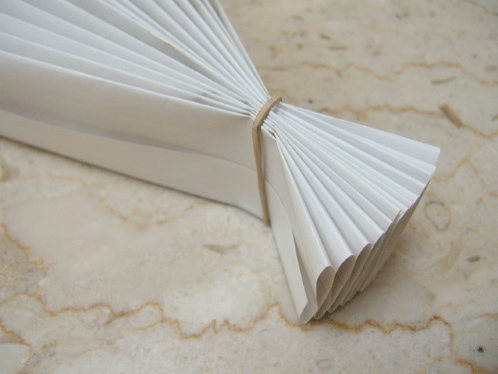 Buy two large sheets of art paper, measure lines at two inch intervals, and pleat and fold it. 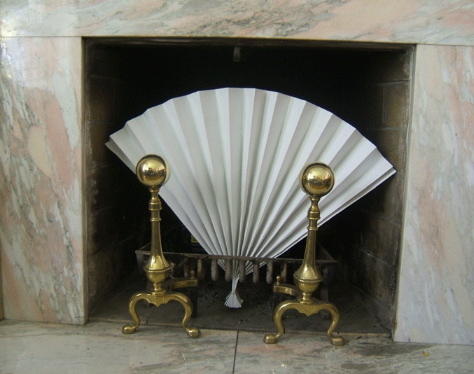 The paper fireplace fan is a summer ritual that used to be observed in refined and aristocratic homes and diplomatic residences, but is seldom seen anymore. It is discreet but oh so elegant, and creates an atmosphere of impeccable, fastidious housekeeping. An alternate solution would be a large, green shade loving plant, such as the Golden Pothos, with it’s glossy marbled leaves. Such a hardy plant might last 4 weeks, but isn’t as simple and long lasting as the paper fan. 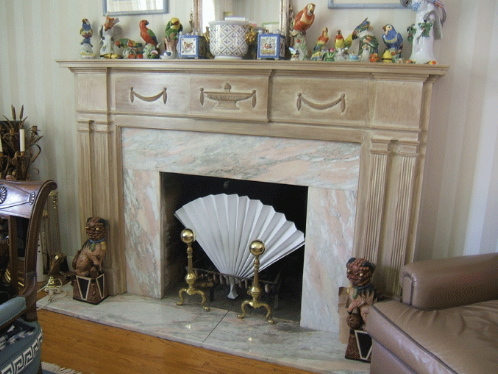 This entry was posted in Living and tagged decorating, Fireplace fan, Golden Pathos, Square With Flair™, Summer decor. Bookmark the permalink. Square… I have a large marble fireplace in my office (at work, not home) and have put a pottery pitcher with dried hydrangias in it. Many times in the winter in this old house, I wished it was a working fireplace.